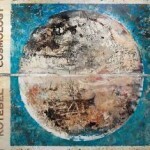 Share the post "Album review: KOTEBEL – Cosmology"
Kotebel is a Venezualan/Spanish prog rock band with classical and fusion influences. ‘Cosmology’ derives its title from the study of the universe and it’s an exploratory, quasi- conceptual prog album, that draws on composer and keyboard player Carlos Plaza Vegas’s classical grounding, but quickly references the prog giants of the past. The band adds its own innovative exploratory touches with some lightning riffing and intricate interplay on a series of thematic pieces that is prog rock at its best. ‘Cosmology’ is all about celebrating the moment, as the band starts with broad based compositions that build up little tensions that they beautifully resolve with improvised playing over fast moving, cross genre pieces. Vegas adds an array of keyboards that nuances the different moods of the compositions. He emphasizes melodies and explores several layered sounds to fit the fast moving musical landscape. He also composed 5 of the 9 pieces here, but Kotebel reach for the stars as a unit, powered by the relentless drive of drummer Carlos Franco Vivas and bassist Jaime Pascual Summers. The rhythm section is locked in from the start and constantly pushes the front line players to new heights. Pianist Adriana Plaza Engelke interweaves her snaking piano lines round Vegas’s grand gestures, while guitarist Cesar Garcia Forero’s piercing tone cuts through the main bulk of the pieces like a knife through butter. The fact that the ensemble build and resolve a succession of pieces over stop-start arrangements that pull us into a plethora of musical directions, says as much about their musical vision as it does about their technical ability. The 4 piece ‘Cosmology Suite’ alone, takes the band into some magical places where the instruments feed off each other over sudden tempo changes. One lead instrument gives way to another as each piece evolves. ‘Entangled Universe’ for example, opens frenetically and then settles on a meditative middle section with a synth backdrop, before a pulsating finish. The album opens with an ethereal backdrop on ‘Post Ignem’, which quickly shifts via a Latino feel to a sudden organ and piecing guitar break that announces that this is indeed a prog rock album. It’s an exemplar of what is to follow, with sudden tempo changes that lead from a frenetic start to a heavier big drum part and spiraling guitar explorations. ‘Geocentric Universe’ opens the 4 part ‘Cosmology Suite’ and pairs flautist Omar Acosta with pianist Adriana Plaze Engelke, who in turn leads the band into a jazzy Bop style, as Acosta solo’s extravagantly. ‘Mechanical Universe’ is a clever synth-led, percussive piece with booming chords that evokes the song’s title. But there’s contrast too, with the lightness of touch of Cesar Garcia Ferro guitar solo, as the synth and piano effectively double up. There’s a constant restlessness and adventurous feel to the music, as the band moves from a claustrophobic King Crimson feel to fractured Tull like staccato rhythms. Vegas further thickens the sound with some Camel style moog backdrops on a piece with occasional flashes of symphonic rock. They say when you’re not sure about a piece of music, you should follow the drums. And while ‘Cosmology’ is self evidently the sum of its parts, drummer Vivas is a joy. His subtle press rolls, crisp cymbal work and relentless drive builds the perfect platform for the band to stretch out. There’s a lovely moment just over the 5 minute mark on ‘Oneness’, when he racks up the energy levels with pianist Engelke, before an unexpected keyboard sweep and a defining melodic guitar line that fleetingly evokes Genesis. In truth, the band doesn’t dwell on a musical idea long enough to be burdened by comparisons, as their adventurous spirit leads them to a wide ranging musical canvas. ‘Cosmology’ sounds like structured music, but with a free-form heart. The compositions leave plenty of room for every member to stretch out, which they do with breathless intent. The faux vocals and keyboards on ‘Mishima’s Dream’ briefly evokes Focus, while ‘A Bao A Qu’ (presumably based on Jorge Luis Borges’s ‘Book Of Imaginary Beings’), is full of percussive drive, layered keyboards and fusion guitar work with a belated ethereal drop-down, while ‘Dante’s Paradise Canto XXV111’ is all about contrast. Some heavy booming rock guitar gives way to an acoustic-into-electric powerhouse rock piece that owes much to Robert Fripp and builds into something that would have fitted into King Crimson’s ‘Red’ album. ‘Cosmology’ ticks all the right boxes. There’s muscular playing, lingering melodies, sparkling solos and above all, inspired band interplay that stands up to repeated scrutiny. This entry was posted in ALBUM REVIEWS, ALBUM REVIEWS (Mobile), All Posts and tagged Adriana Plaza Engelke, album, Camel, Carlos Franco Vivas, Carlos Plaza Vegas, Cesar Garcia Forero, Cosmology, fusion, Genesis, Jaime Pascual Summers, Jethro Tull, Jorge Luis Borges, keyboards, King Crimson, Kotebel, Omar Acosta, prog rock, review, Robert Fripp, symphonic rock. Bookmark the permalink.